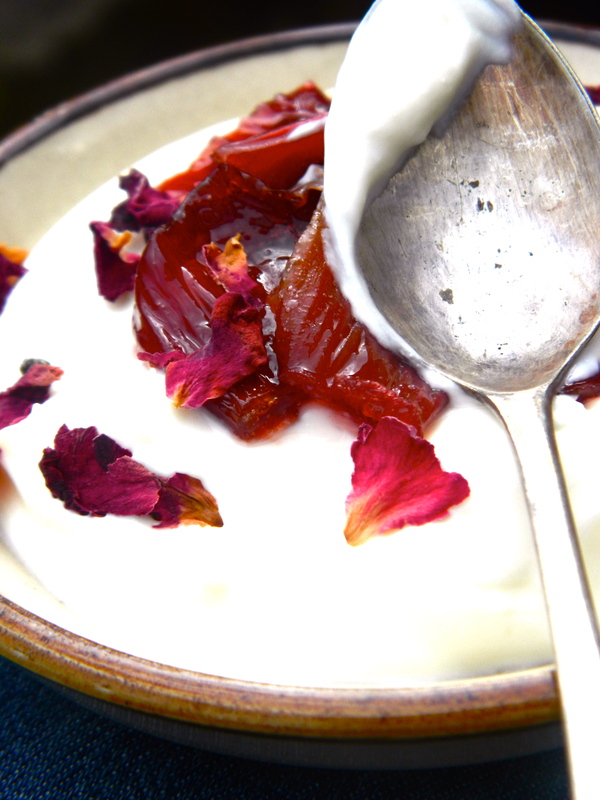 Spring came a little late this year so the rhubarb is still very much in action. 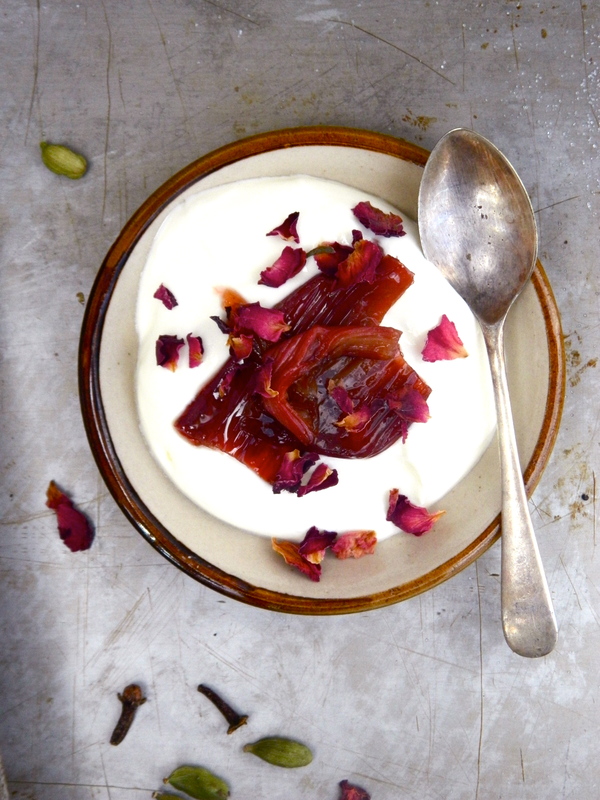 I always used to think of rhubarb as a quintessentially British or Irish flavour – you know, rhubarb crumble, rhubarb fool, rhubarb and custard. 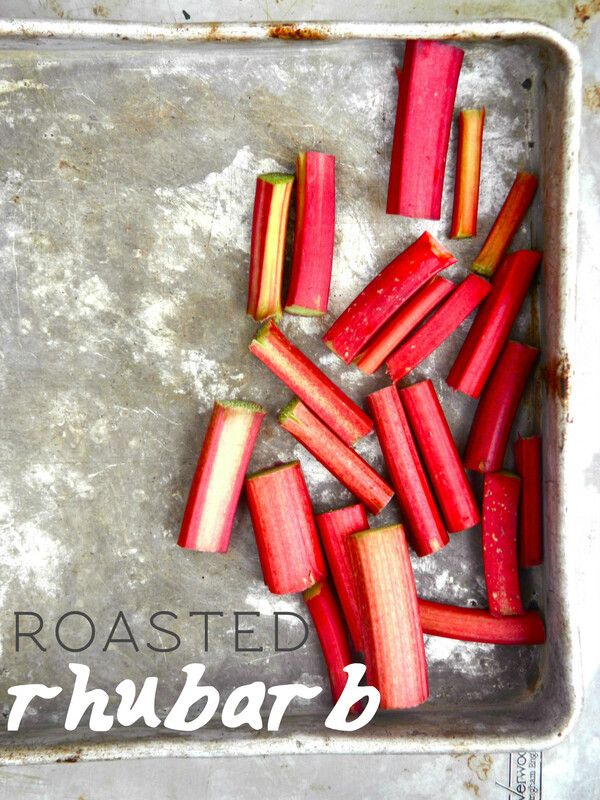 But then I tried roasting it, and noticed that the heat of the oven accentuated the sweet and sour flavours of the rhubarb, giving it an almost Middle Eastern flavour profile and a gorgeously sticky, slightly caramelised texture. 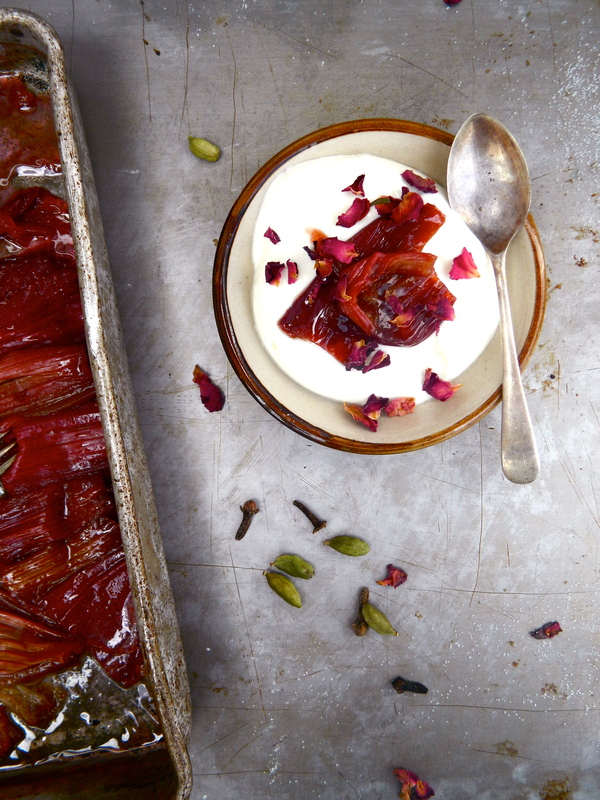 I decided to play up these flavours with some Middle Eastern spices – a sprinkle of cardamon seed, a knife blade of ground cloves and a pinch of dried rose petals – and then served the rhubarb with some cold creamy Greek yoghurt. 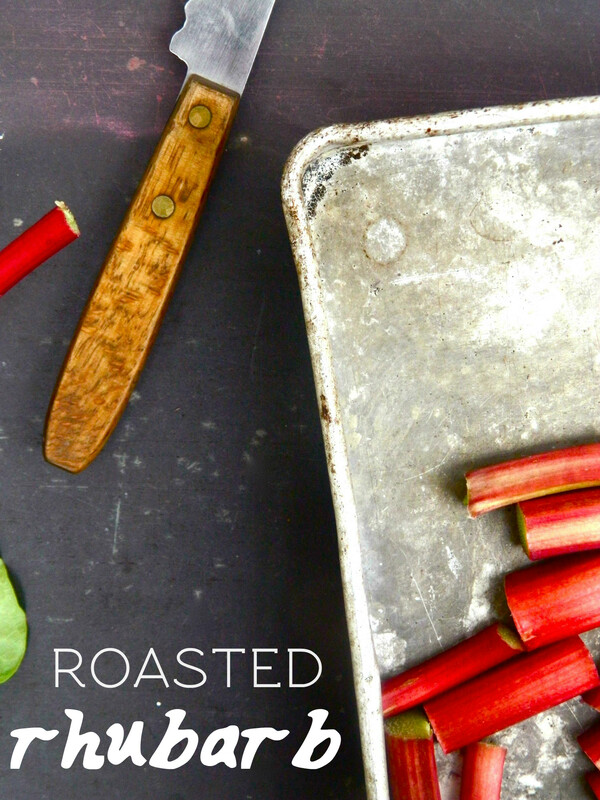 Cut off the leaves and base and rinse the rhubarb under running water, pat dry with kitchen paper, then cut into 2-inch lengths. 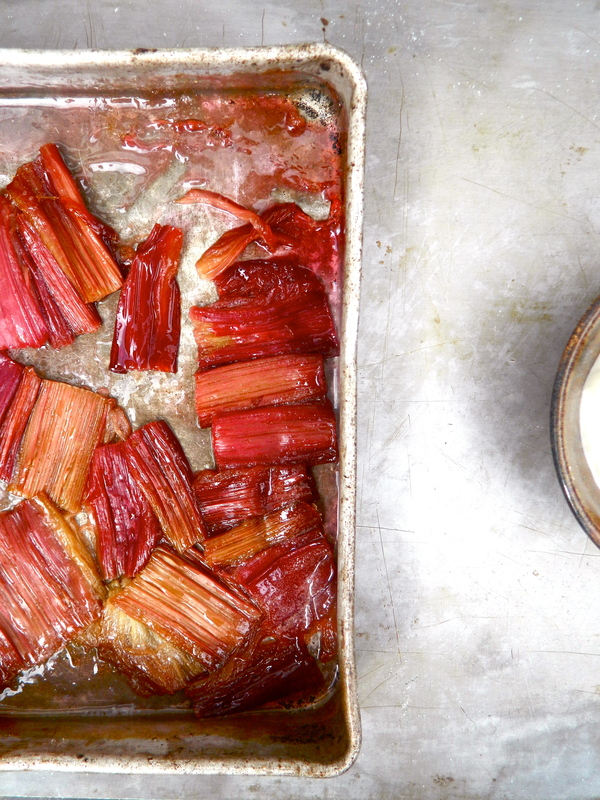 Mix them in a tin with enough sugar to cover the rhubarb generously and shake to cover the pieces. 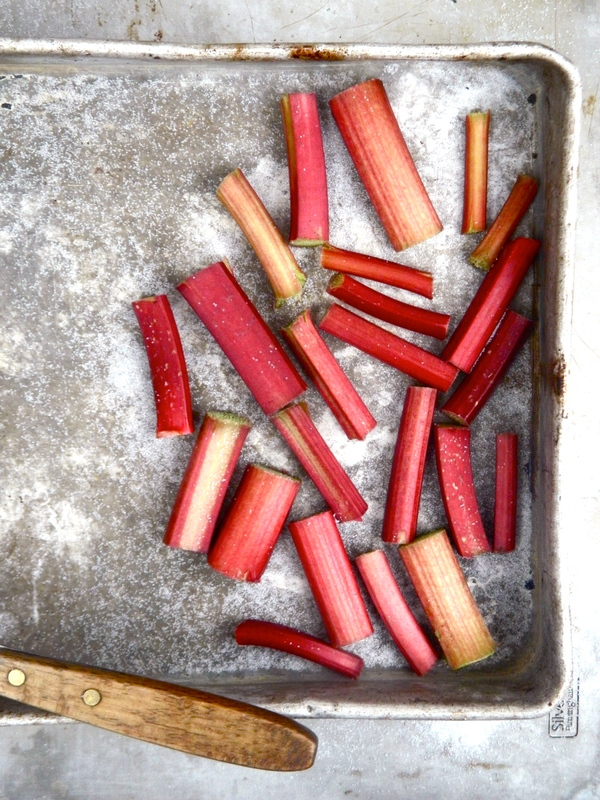 I used about half of a cup of sugar for five stems of young rhubarb. 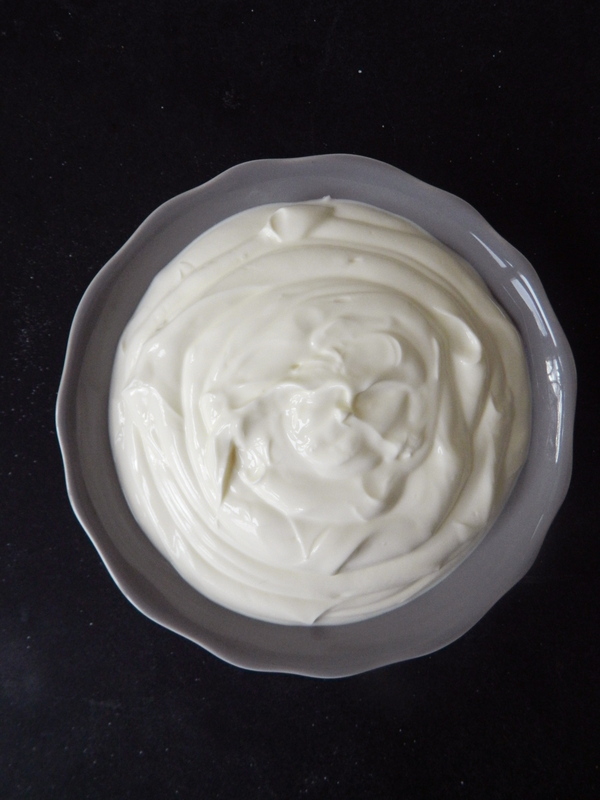 Fasten a piece of tin foil over the tin and roast for about 15 minutes. 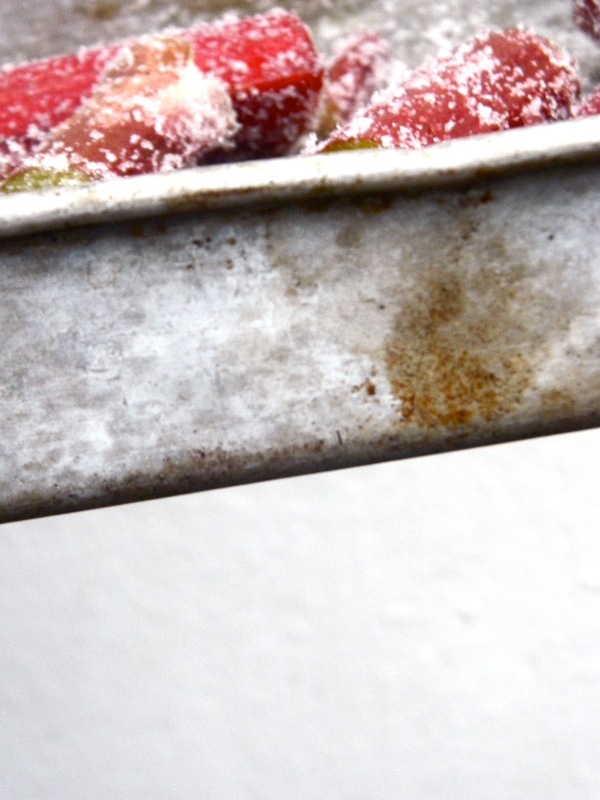 Once the rhubarb has softened a little, remove the tin foil and leave to roast for another 10 or 15 minutes, or until most of the liquid has evaporated and the rhubarb is glossy and sticky.